The Ferguson verdict is set to be released in the near future. 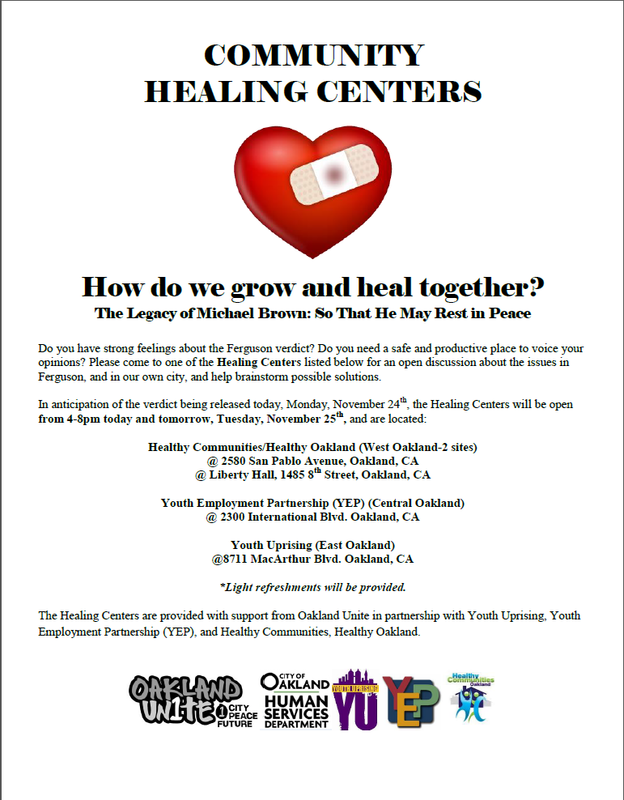 In anticipation, Oakland Unite has partnered with agencies in East, Central, and West Oakland to open Healing Centers. 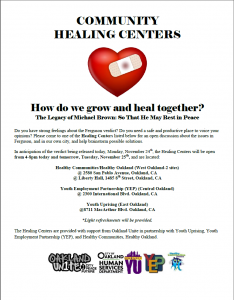 These Healing Centers will offer a safe, alternative space to talk about reactions to the verdict, and dialogue around how the verdict affects communities in Oakland. Thank you to Youth Uprising, Youth Employment Partnership, and Healthy Communities Healthy Oakland for generously facilitating the Healing Centers.